This stylish 22 gallon deck box is sure to compliment your outdoor living space or even indoor space. Designed to offer extra storage for those items you need to have on hand, but not out and about. Th stay-dry design can hold your yard and garden supplies, kids toys or just about anything else. Durable resin construction. The 134 Gal. 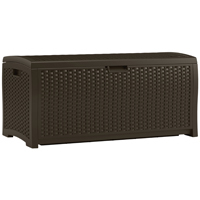 resin deck box from Suncast is an attractive storage bin with a wicker-like exterior that offers ample space to keep your prized outdoor items safe and dry. This weather-resistant crate has a latching, lockable lid with piston-aided opening and closing that will prevent moisture, leaves, pollen and pests from soiling your patio cushions or whatever possessions need safeguarding. At just over 2 ft. tall, this durable deck box also serves as an extra seating option when the need arises. Storage capacity equivalent to 134 Gal. or 17.9 cu. ft.
Whatever size your deck or patio, Suncast has a deck box for you. All Suncast deck boxes are made of weather resistant, long lasting, durable resin. They are great for storing yard and garden accessories, while providing a decorative addition to your outdoors. 50 gallon capacity. Easy to maintain, durable resin construction. Great for storing outdoor accessories. 5 minute, tool-free assembly. 50 gallon capacity. Easy to maintain, durable resin construction. Great for storing outdoor accessories. 5 minute, tool-free assembly. 73 gallon capacity. Easy to maintain, durable resin construction. Wheels and handles for hassle-free portability. Great for storing outdoor accessories. 5 minute, tool-free assembly. Shield your wetness-averse outdoor accessories with this protective 50 Gal. resin deck box from Suncast. 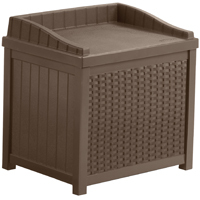 The durable polypropylene patio storage bin has an overlapping lid that keeps contents dry and doubles as a seating option when closed with a maximum weight capacity of 300 lbs. It's the ideal solution for safeguarding seat cushions, firewood, charcoal, dining accessories, garden supplies, grilling equipment, swimming pool accoutrements and more. 99 gallon capacity. Easy to maintain, durable resin construction. Padlock ready lid (padlock not included). Holds 4 large chair cushions and 1 chaise cushion. Ideal for storing garden and pool accessories. 5 minute, tool-free assembly. 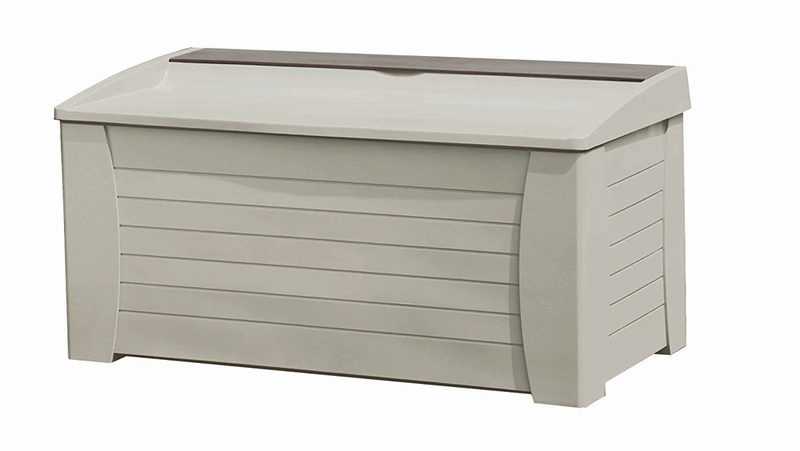 The Suncast Large Deck Box is an attractive storage solution for your home and patio. At an 80 Gal. 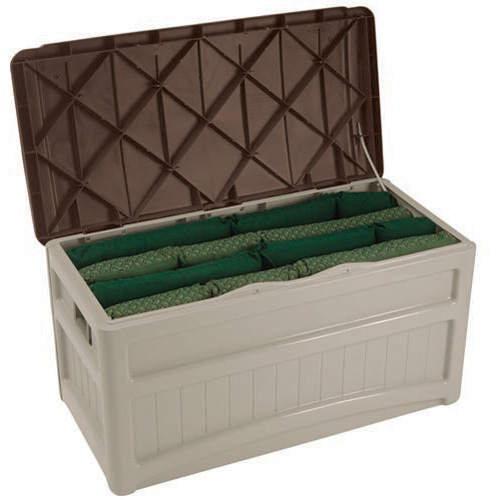 capacity, this deck box has ample space for several patio cushions, garden toolsor pool supplies. The reinforced lid is constructed of multi-wall resin for strength and provides an alternative seating option on your patio. The 5-year Warranty is guaranteed to keep this attractive storage option on your patio for years to come. Constructed of durable double-wall resin. Secure assembly requires minimal tools. 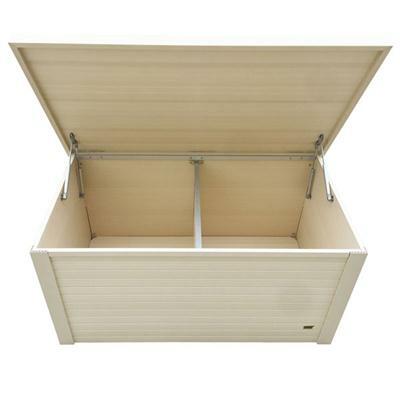 Great for storing furniture cushions and outdoor accessories. Latching lid with piston closure (padlock not included). This wicker deck box is the perfect solution for your outside storage needs. 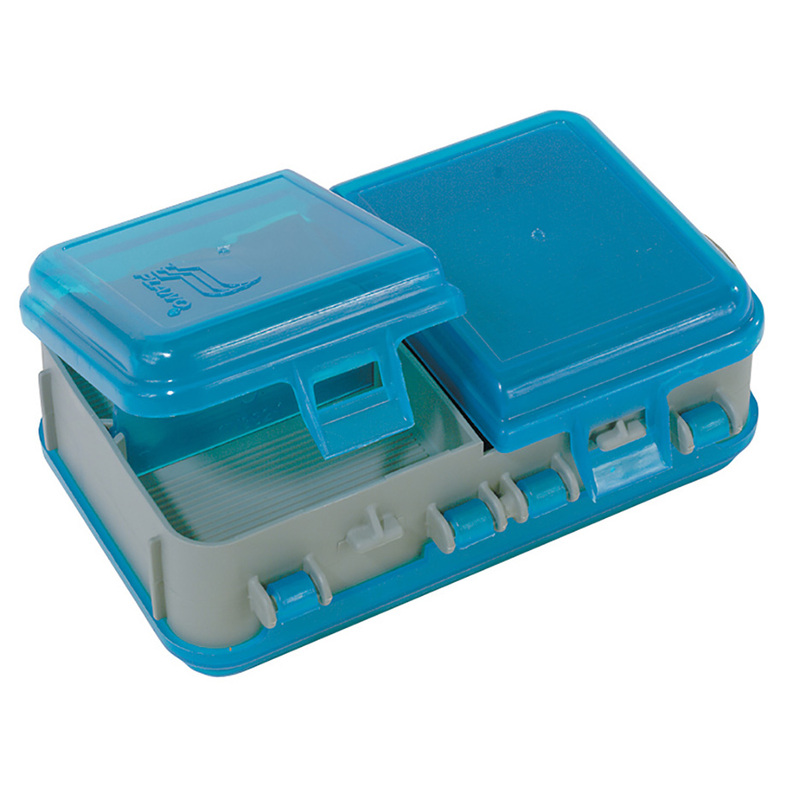 Great for storing items such as toys, garden tools, and furniture cushions, the roomy container features carry handles and a snap-together design that makes assembly easy. Its rich brown color will accentuate your deck or patio dTcor. This wicker deck box is the perfect solution for your outside storage needs. Great for storing items such as toys, garden tools, and furniture cushions, the roomy container features carry handles and a snap-together design that makes assembly easy. Its rich brown color will accentuate your deck or patio dTcor. Length is 46"; Width is 23.5"; Height is 22.5" and Weight is 30 lbs. With a capacity of 122 Gal. 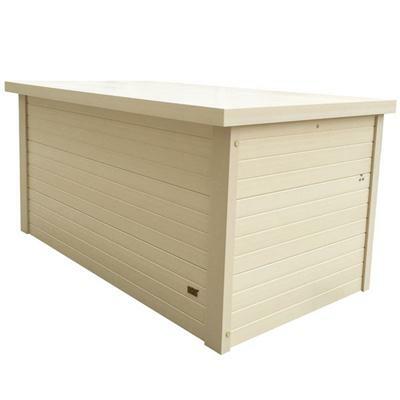 the Extra Large Deck Box by Suncast has plenty of space for storing large furniture cushions, gardening tools and firewood. The gas shocks on the reinforced lid allow for easy access to your belongings and ensure that the lid will stay open while in use. For added security, this deck box is also pad-lockable to keep your items safe (lock not included). The elegant design of this wicker pattern deck box will make a beautiful addition to any patio or outdoor setting. Made of a durable resin-vinyl material that endures the harsh treatments of extreme weather as well as everyday wear and tear. This bench offers a large amount of storage perfect for lawn and garden tools. Place this bench near your picnic area for additional seating for family and friends. The lock will keep your items secure and away from children. The taupe-colored Mikanda Storage Deck Bench assembles in only five minutes. Plus because it's made of vinyl it's maintenance free. 129 gallon capacity. Easy to maintain, durable resin construction. Removable storage tray is great for small accessories. Padlock ready lid (padlock not included). Holds multiple chair cushions, garden & pool supplies. 5 minute, tool-free assembly. Deck box is great for storing outdoor accessories. Stay-dry lid design and long-lasting resin construction. Easy, five minute tool-free assembly. 50 gallon capacity. 13 Gallon Capacity. Durable, double-wall resin construction. Contemporary wicker design brings style to any outdoor setting. Hinged lid with latching function and steel reinforcement. Conveniently store items under table top. 7.29 cu. Brentwood Deck Box is made from Ecoflex a wood polymer composite material consisting of recycled wood ground into a powder and recycled high density polymer. This material is nontoxic and nonabsorbent which makes it easy to clean. It won't warp crack split or twist. This box is great to store tools toys or all the clutter from your deck or patio. This Antique white box can be painted or stained to match your deck or house. Water resistant and easily cleanable. Has 7.29 cu ft of storage space. 10yr warranty This item cannot be shipped to APO/FPO addresses. Please accept our apologies. 9.24 cu. Brentwood Deck Box is made from Ecoflex a wood polymer composite material consisting of recycled wood ground into a powder and recycled high density polymer. This material is nontoxic and nonabsorbent which makes it easy to clean. It won't warp crack split or twist. This box is great to store tools toys or all the clutter from your deck or patio. This Antique white box can be painted or stained to match your deck or house. Water resistant and easily cleanable. Has 9.24 cu ft of storage space. 10yr warranty This item cannot be shipped to APO/FPO addresses. Please accept our apologies.